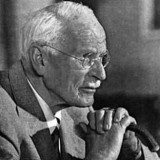 Carl Gustav Jung was a Swiss psychiatrist, an influential thinker and the founder of analytical psychology. Jung's approach to psychology has been influential in the field of depth psychology and in countercultural movements across the globe. He emphasized understanding the psyche through exploring the worlds of dreams, art, mythology, world religion and philosophy. Although he was a theoretical psychologist and practicing clinician, much of his life's work was spent exploring other areas, including Eastern and Western philosophy, alchemy, astrology, sociology, as well as literature and the arts. His most notable ideas include the concept of psychological archetypes, the collective unconscious and synchronicity. Jung emphasized the importance of balance and harmony. He cautioned that modern people rely too heavily on science and logic and would benefit from integrating spirituality and appreciation of unconscious realms.